German beers tained with herbicide? 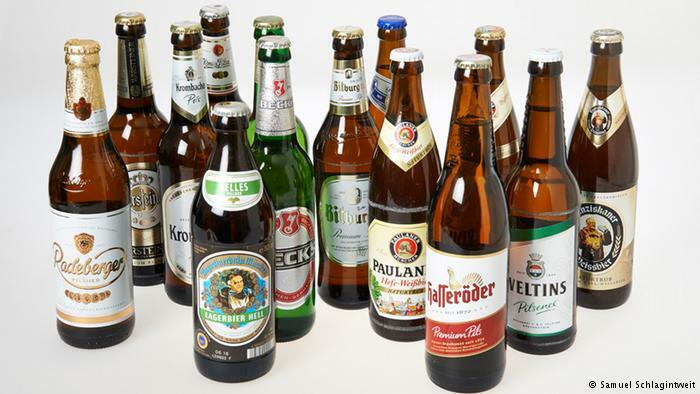 Recently a report has surfaced claiming that several beers in Germany have been tainted with the herbicide Glyphosate. This product is also known as RoundUp and is produced by Monsanto. The Germans are very strict about what’s allowed to be in a beer, due to their “Reinheitsgebot” (the German Beer Purity Law). Needless to say, a herbicide is not the kind of thing that you’re expected to find in a beer. Another crushed dream - our favourite amber beverage which often claims to be a product of only natural ingredients seems to be tainted with the herbicide Glyphosate. This news was picked up and reported by various news outlets which based themselves on a report (PDF link) published by Das Umweltinstitut, a German environmental activists group. This means there’s an agenda behind it and the original report certainly looks more like a pamphlet than a scientific report. So can this news be trusted? First and foremost, there does seem to be some valid scientific work to back up the claims in this report. The group purchased 14 well known beers and ran it through some lab tests. Glyphosate was found, in all tested beers. According to one specialist, this is certainly plausible since the product is used before the grains are mowed and would thus be able to find their way in to the final product. The same expert claimed that the discovered quantities (30 micrograms per liter) are less of a cause for concern, since you’d have to drink 600 liters of beer per day before the amount of herbicide you consume becomes dangerous (according to the European Food Safety Authority). Another expert claimed on Belgian radio that the raw materials for beer are tested for contaminants by independant labs prior to being used in the brewing process. This expert did not mention any thresholds for negative health effects but suspects that either the labs didn’t do their work properly and didn’t detect the contaminants, or detected it and failed to communicate it. Or, they may have communicated it but the breweries decided to ignore it. Repulsive as it may seem, a small amount of herbicide in beer may not be harmful and thus is little cause for concern. What remains to be seen is wether or not these beers violate the German Beer Purity Law. If you’re concerned about tainted beers, why not try a few of our delicious Belgian beers instead? I always have Westvleteren for sale and it's tasty as ever!